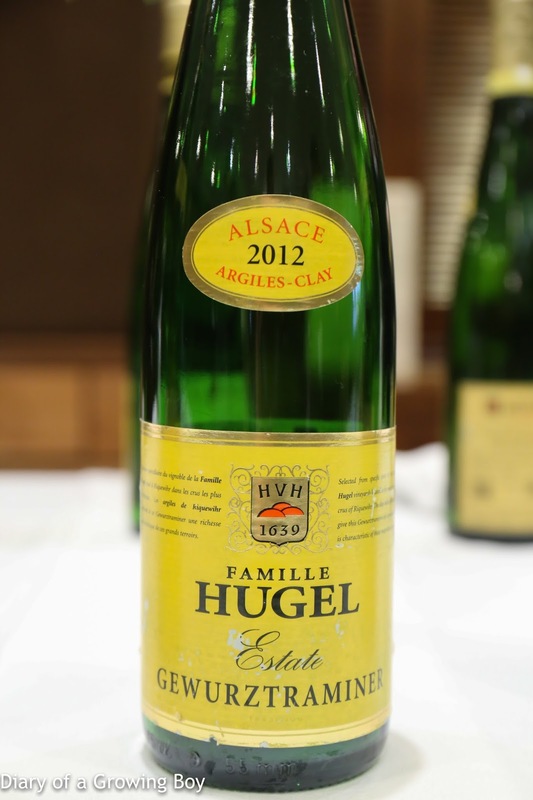 Tasting of Famille Hugel wines organized by Hong Kong Wine Vault. Winemaker Marc André Hugel in attendance. 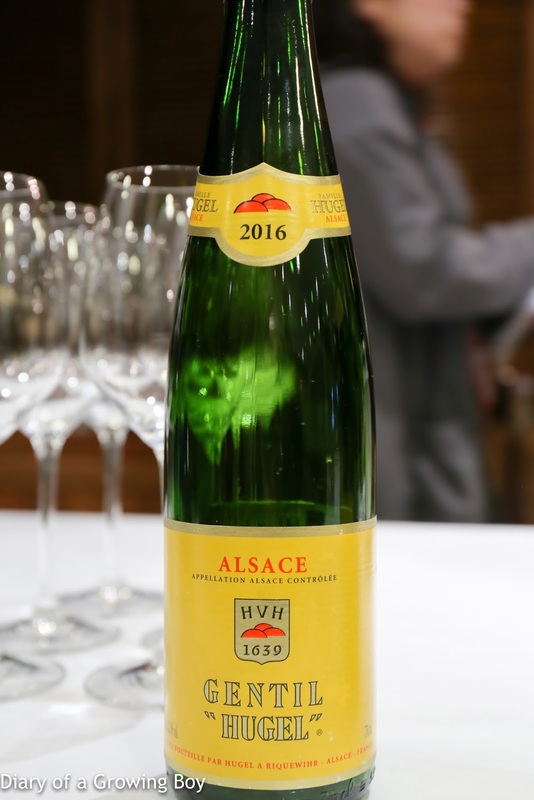 2016 Hugel Gentil - a blend of traditional grape varietals used in Alsace. Very floral and tropical, with stone fruits. Kinda ripe on the nose, flinty with white flowers. A hint of sweetness on the palate. 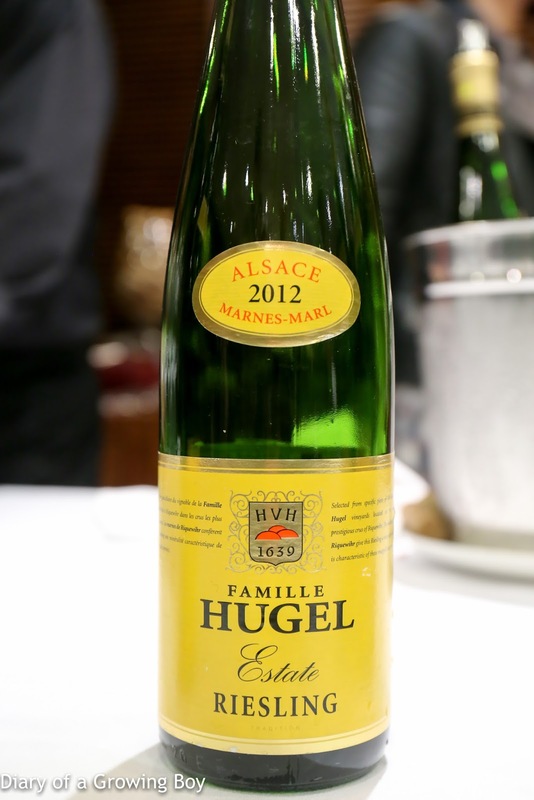 2012 Hugel Estate Riesling - nose was much more pungent with lots of polyurethane along with some white flowers. Higher acidity on the palate. 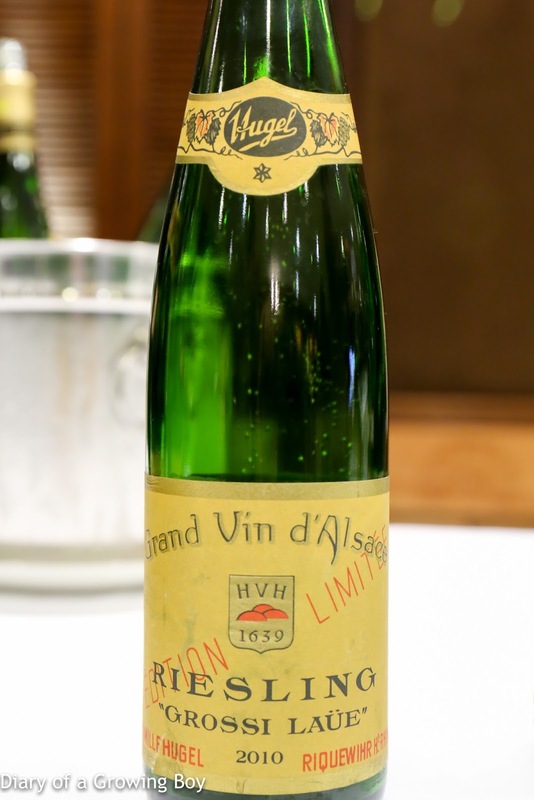 2010 Hugel Riesling Grossi Laüe - "Grossi Laüe" is the Alsatian equivalent of the German "Großes Gewächs" - or grand cru. They stopped producing the "Jubilee" cuvée after 2009 and started with this in 2010. Subtle notes of white flowers, with a little bit of polyurethane. Very lean with even higher acidity level. This was definitely more elegant. 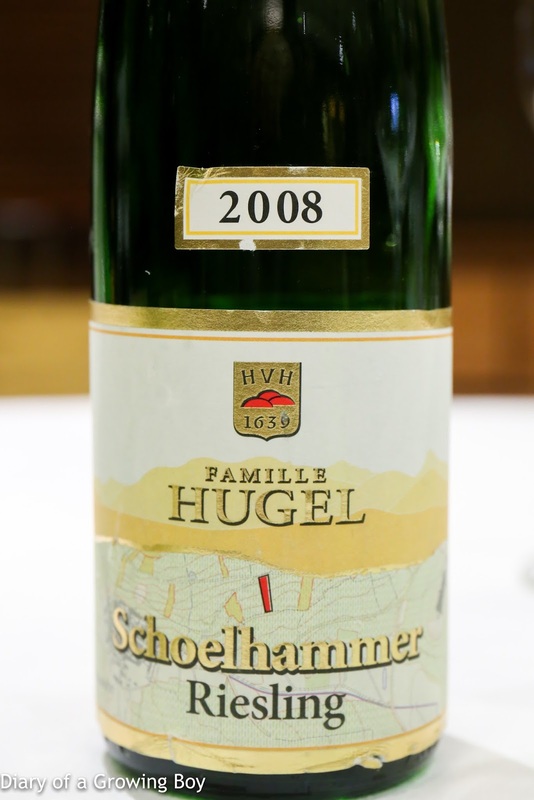 2008 Hugel Riesling Schoelhammer - second vintage of this single-vineyard offering. First pour from a new bottle. LOADS of polyurethane, with honeysuckle on the nose that packs a real wallop. A really big wine with lots of potential. 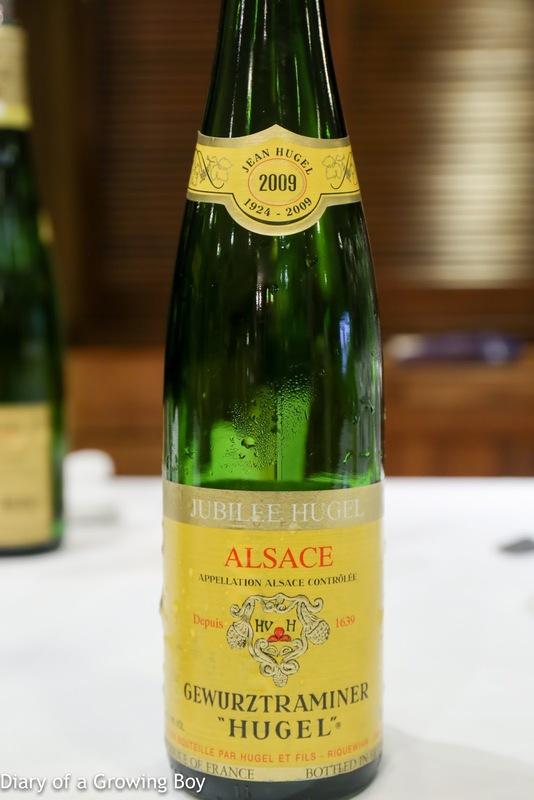 2009 Hugel Pinot Gris Jubilee - the last vintage of this wine. Huge level of ripeness, with a little bit of floral notes and a hint of marmalade. Very long finish. 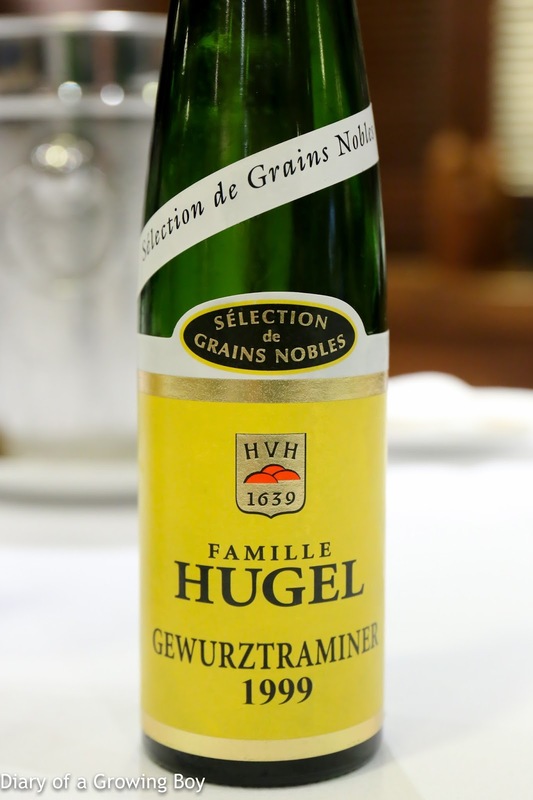 2012 Hugel Gewurztraminer Estate - totally lychee on the first whiff, and really ripe and sweet on the nose. Lots of floral characters with plastic notes. Very distinctively gewurz. Reasonably sweet on the palate. 2010 Hugel Gewurztraminer Grossi Laüe - floral notes with stone fruits and lychee. Also very elegant, with honey and marmalade. 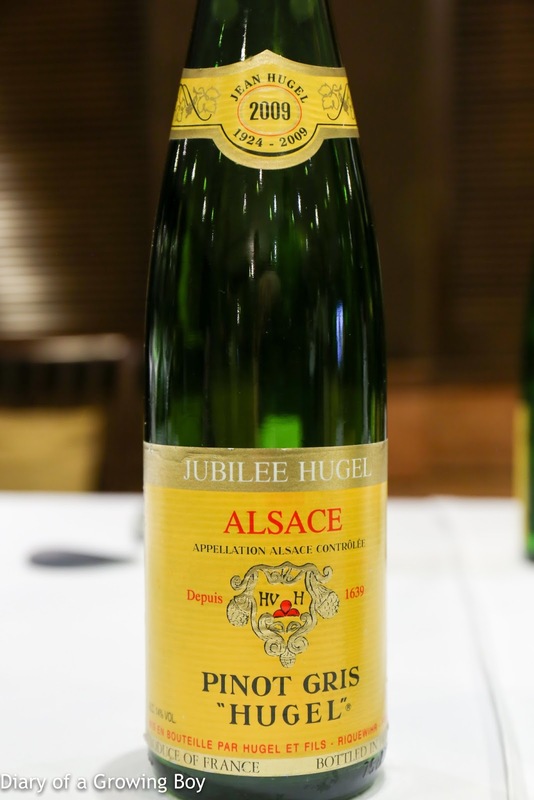 2009 Hugel Gewurztraminer Jubilee - the last vintage of this cuvée. Lovely and elegant, with nice lychee notes. 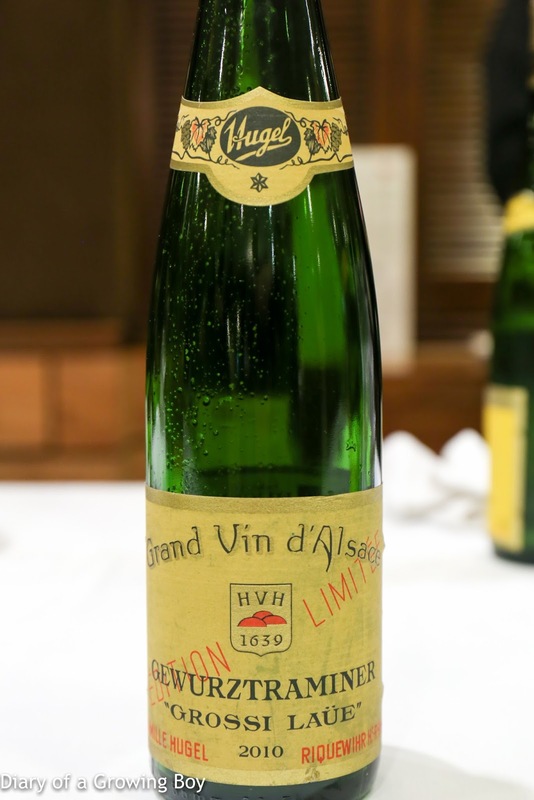 1999 Hugel Gewurztraminer Sélection de Grains Nobles, en demi-bouteille - sooooo beautiful! Lots of honey, marmalade, a little nutty, floral, and elegant. Later on a hint of polyurethane. So viscous and round on the palate. Love the sensation of it swirling around the tongue. There was a slight hint of bitterness on the finish.